Effective management of protected areas is dependent on information on the illegal and legal use of the habitat by people, the ecological and behavioural needs of key species, and trends in resource availability and ecological processes. The International Gorilla Conservation Programme working with the protected area authorities in Rwanda, Uganda and the Democratic Republic of Congo has developed a ranger based monitoring system, using basic protocols for data collection that guide protected area staff in park management. 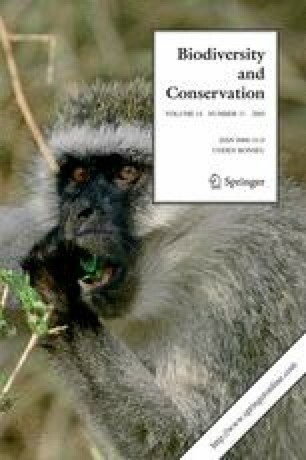 This programme is a key management tool for the three park authorities responsible for the conservation of the mountain gorilla (Gorilla beringei beringei) in the Virunga and Bwindi forest blocks. The programme was initiated in 1997 and has enabled the gathering of extensive information on illegal activities, key species of fauna and flora, and habituated and unhabituated groups of gorillas. Ranger based monitoring is a simple and cost effective tool that can be sustained in the parks in the Virunga–Bwindi region with limited external support. It provides park managers with information that prompts appropriate responses to threats to the ecosystem. For example information on the distribution of illegal activities determines targeted patrol coverage to address specific threats. The bottom-up approach of ranger based monitoring includes a strong capacity building component and empowers field staff in park management activities.